Dry eye is a common problem for many people. Traditionally the only treatment option available has been lubricant eye drops. We now have a new treatment available at our practice, Blephasteam goggles. Using heat and moisture through thermal goggles, the Blephasteam goggles warm the oil in your lids to the temperature needed to liquefy and unblock glands. There are many different causes of dry eye, including age, medications, environmental factors such as heating and air conditioning, poor aqueous production and most commonly poor oil production from the meibomian glands. The meibomian glads produce an oil which forms the top surface of the tear film to stop the tears from evaporating too quickly. When the glads are blocked little to do oil is produced causing the eyes to dry out which can lead to irritation, stinging, watery eyes and redness in the eyes. Heat therapy loosens the critical oils required to improve the quality of tears and slow tear evaporation. Blephasteam goggle are more effective than hot compresses because they can heat the oil glands to an appropriate temperature for a longer period of time than hot compresses allow. After approximately 15 minutes wearing the Blephasteam goggles manual expression of the glands is also needed to unblock the glands fully, gentle squeezing provides enough pressure to unblock the glands. Once these blockages are fully cleared, normal function can start to occur again. You will usually require at least 2-3 sessions of Blephasteam Therapy to clear all blockages. 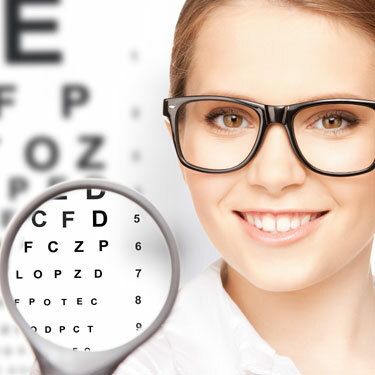 In order to treat your dry eye problems most effectively our program involves a multi-pronged approach. 1. Lubricating and/or anti-inflammatory eye drops: We offer the latest and most advanced over-the-counter lubricants as well as the latest in prescription eye drops. 2. Nutrition for Dry Eyes: Omega 3 supplements and/or increasing your Omega 3 intake can provide much needed support. 3. MGDRx Eyebag Home Therapy: This is an ‘at-home’ heat treatment to supplement the in-office treatment that we perform.